Kilburn is an area which straddles both sides of the Edgware Road (Kilburn High Road). Kilburn grew up on the banks of a stream which has been known variously as Cuneburna, Kelebourne and Cyebourne, which flows from Hampstead down through Hyde Park and into the River Thames. It is suggested the name means either Royal River or Cattle River ('Bourne' being an Anglo-Saxon word for 'river'). That river is known today as the Westbourne. 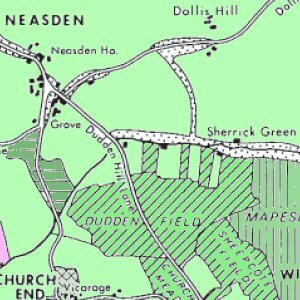 The name Kilburn was first recorded in 1134 as Cuneburna, referring to the priory which had been built on the site of the cell of a hermit known as Godwyn. Godwyn had built his hermitage by the Kilburn river during the reign of Henry I, and both his hermitage and the priory took their name from the river. Kilburn Priory was a small community of nuns, probably Augustinian canonesses. 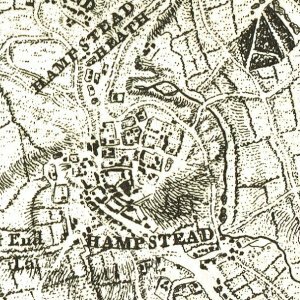 It was founded in 1134 at the Kilburn river crossing on Watling Street (the modern-day junction of Kilburn High Road and Belsize Road). Kilburn Priory's position on Watling Street meant that it became a popular resting point for pilgrims heading for the shrines at St Albans and Willesden. The Priory was dissolved in 1536-37 by Henry VIII, and nothing remains of it today. 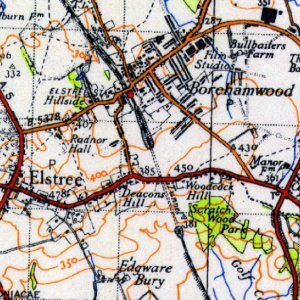 The priory lands included a mansion and a hostium (a guesthouse), which may have been the origin of the Red Lion pub, thought to have been founded in 1444. Opposite, the Bell Inn was opened around 1600, on the site of the old mansion. The fashion for taking 'medicinal waters' in the 18th century came to Kilburn when a well of chalybeate waters (water impregnated with iron) was discovered near the Bell Inn in 1714. 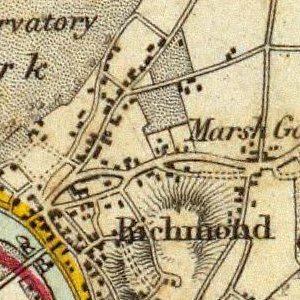 In an attempt to compete with the nearby Hampstead Well, gardens and a 'great room' were opened to promote the well, and its waters were promoted in journals of the day as cure for 'stomach ailments'. In the 19th century the wells declined, but the Kilburn Wells remained popular as a tea garden. The Bell was demolished and rebuilt in 1863. 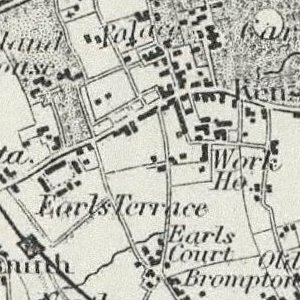 The Kilburn stretch of Watling Street, now called Edgware Road and Kilburn High Road, was gradually built up with inns and farm houses. Kilburn did not attract any significant building until around 1819 in the area near St John's Wood. 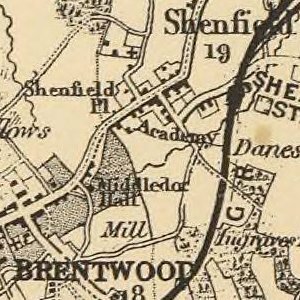 Much of the area was developed in the last decades of the 19th century by Solomon Barnett, who named many of the streets after places in the West Country (e.g. Torbay) or after popular poets of the day (e.g. Tennyson) in honour of his wife. 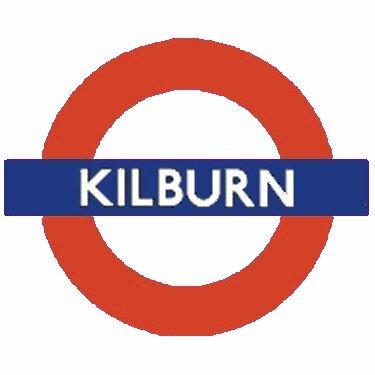 There are three railway stations on Kilburn High Road: Kilburn tube station (Jubilee line) at its northern end and a little to the south Brondesbury station (London Overground). Approximately a mile further south is Kilburn High Road station (also London Overground). The name of Ian Dury's first band, Kilburn and the High Roads, refers to this road, as does the Flogging Molly song, "Kilburn High Road" and the Shack song, "Kilburn High Road". Kilburn tube station opened as Kilburn and Brondesbury on 24 November 1879, as part of the Metropolitan and St. John's Wood Railway run by the Metropolitan Railway. 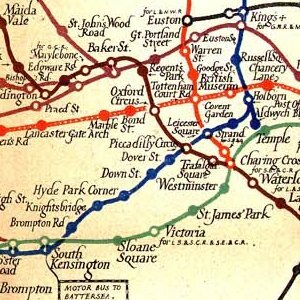 Following the merger of the Metropolitan Railway into London Transport in 1933, it then became part of the Stanmore branch of the Bakerloo line on 20 November 1939, at which time the station was extensively rebuilt. The station was renamed to its current name on 25 September 1950. 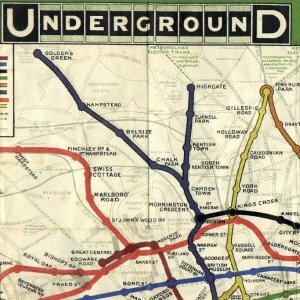 It was transferred to the Jubilee line on its opening, on 1 May 1979.